Stories about your favorite retired racehorses. For archived stories, click here. You might automatically believe that the very newly married Mary McGlothlin was telling the tale of the first time she saw her husband, former professional polo player Darin Martin. You would be wrong. Rather, the object of her total devotion for the past 15 years has been the quirky bay gelding who became one of the most recognizable names in American steeplechasing – Bubble Economy. The horse’s resume, like his history with McGlothlin, is lengthy and memorable. Bred in Pennsylvania by Tim and Nina Gardner and Rick and Dixie Abbott, the bay son of Rakeen and the Vaal Reef mare Buffels was foaled on May 10, 1999. Offered at the Fasig-Tipton Midlantic fall yearling sale in 2000, he sold for $50,000 to Gary Sciacca. Bubble Economy made his debut – and solitary start as a 2-year-old – in December 2001 at Aqueduct for owner Klaravich Stables and trainer Rick Violette. And finished last, more than 30 lengths behind the winner. Given every opportunity by those connections, he made six starts on the flat at 3 in 2002 but never finished better than third. After a “no rally” effort in a maiden special at Saratoga that August, he was sold privately to Arcadia Stable and trainer Jack Fisher, McGlothlin’s employer at the time. Her Cupid’s arrow moment occurred when she went to pick up the horse from Violette’s barn on the Saratoga backside. The next month, Bubble Economy was a hurdler and he finished second in his debut at Shawan Downs and second again at Far Hills, in the Gladstone Hurdle Stakes-G3, in October. He graduated the maiden ranks at Colonial Downs the next summer, and won over hurdles again in November 2003 and April 2004. The following month, Fisher made the conversion to timber and Bubble Economy delivered in his debut, winning the Mason Houghland Memorial Stakes at the Iroquois. His pages-long race record shows that Bubble Economy was a force in timber racing through 2010, hitting most every stop on the circuit. Bubble Economy won the National Steeplechase Association’s timber championship in 2004 (despite just a single win) and again in 2008 (three wins) and 2010 (two). Only four-time champions Saluter (1990s) and *Jacko (1970s) won more in an award dating to 1953. Bubble Economy won the Virginia Gold Cup (2008 and 2010) and Mason Houghland (2004 and 2010) twice each, and also won the Grand National (2007), International Gold Cup (2008) and Middleburg Hunt Cup (2009). Along the way, he managed to lose nine consecutive races in 2004 and 2005, fell while in contention at the last fence of the 2007 Virginia Gold Cup and refused at a fence in the 2008 Pennsylvania Hunt Cup. Like McGlothlin, Fisher understood and appreciated Bubble Economy’s personality. After winning the Virginia Gold Cup at Great Meadow in 2010, Fisher returned to the barn to see the horse still on his toes. So off he went, and he won the 3-mile Mason Houghland a week after the 4-mile Gold Cup. Per usual, Bubble Economy was turned out for the summer before jump racing resumed in the fall. An injury was discovered when he was brought back in, and he missed the 2011 season. He returned in 2012 and ran just twice – a second in the My Lady’s Manor in April and a fourth in the Virginia Gold Cup in May. After 11 racing seasons, Bubble Economy was retired with a record of 56-14-15-7 (on the flat, over hurdles and over timber) and $454,100 earned. The original plan was for him to become a foxhunter for Dolly Fisher, Jack’s mother. Now 19, “Bubbles” resides at Hyggelig Haven, the Butler, Md., farm McGlothlin manages for Michael and Charlene Petersen. His pasture mates are 14-year-old Vamanos and 23-year-old Chilito, who finished 11th in the 1998 Kentucky Derby and was featured in this column in June 2016. While Bubble Economy now suffers from a mild case of Cushing’s Disease, little else has changed. He is equal parts senior citizen and fire-breathing 3-year-old, depending on his mood. McGlothlin still rides him several times each week, following his cues and allowing him to dictate their activity. When she approaches with his bridle, he opens his mouth and waits for the bit. If he prefers a walk, they’ll take a stroll; should he feel a bit more ambitious, there are some small logs to pop over. Martin, who met McGlothlin in 2014, has also been on him. Day to day, the gelding is the farm’s sentry, on patrol and noticing everything. While the recent addition of new birdhouses went unnoticed by his neighbors, the old timber horse took a close inspection. Every subtle change requires his reaction. He nickers to his buddies when they leave the barn for a ride and again says hello when they return. 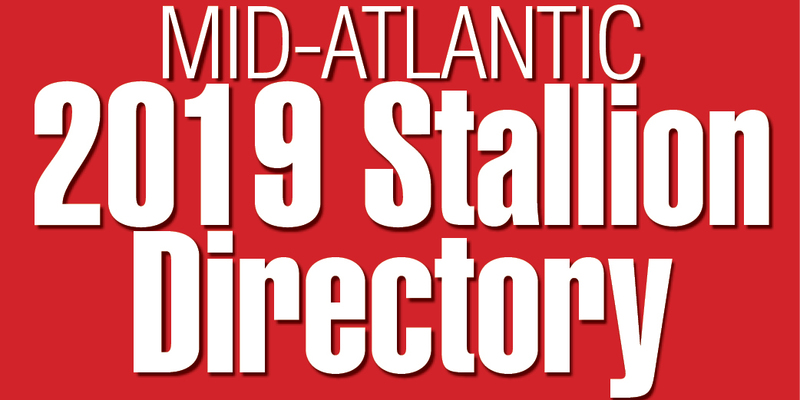 Sign up for the MidAtlantic Club to view this article in our digital edition for FREE. 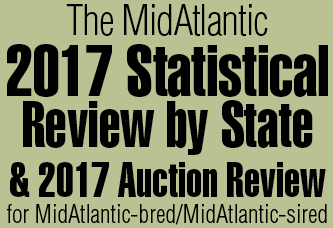 See this story in print by subscribing at a special MidAtlanticClub price by clicking here. Click here to view our online Pensioners on Parade archives.